After breakfast, we had a dry landing onto Bartolomé. 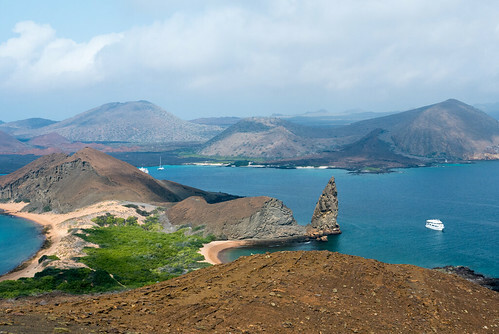 This is the most photographed place on the Galapagos, purely for the spectacular view from the top which takes in the pinnacle, the nearby crater in the water, and two sandy bays. Lava lizards (one of seven species of lizard on the island) roamed the blackened lava fields, but we didn't get to see any with regrown tails. 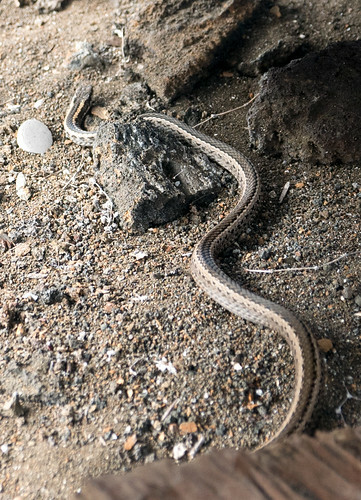 A Galapagos central razor snake slithered under the steps which we climbed. It was a constrictor which was tiny, so not harmful to humans, although the lizards tried to give it a wide berth. Most of the $100 entrance fee is used to protect the wildlife population from creatures introduced by humans, such as the black rat which wiped out 40% of the Darwin finches. 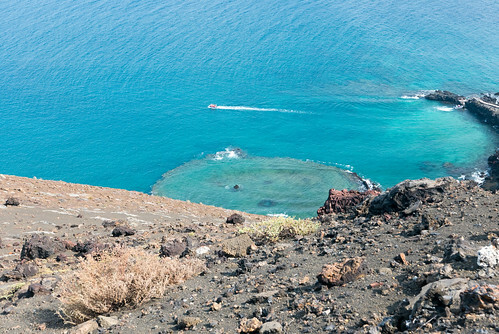 Reaching the top and seeing the panorama of the island and its surroundings was immense. The pinnacle nearby isn't actually natural, as it's the result of the Americans practicing bombing there during World War 2. 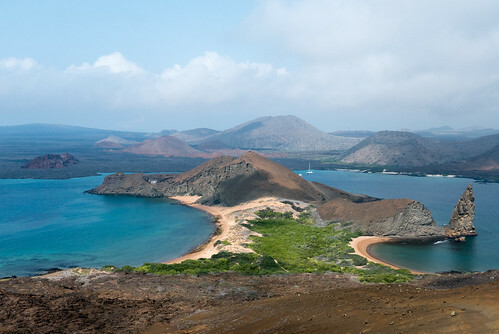 Over 3,000 troops were stationed strategically in Baltra to prevent the Galapagos from being taken. When we went snorkelling at Bartolome after our descent, Johan took us to see a US bomb at the bottom of the ocean - a remnant of more violent times. That was just the beginning of an amazing snorkel trip though. First, a penguin decided to jump into the water to go fishing as we started. Then a sealion joined us for a minute or so. Then we saw a couple of huge marbled rays lying between some rocks. Then we wandered into a huge school of surgeon fish gathering around a boulder on the reef. 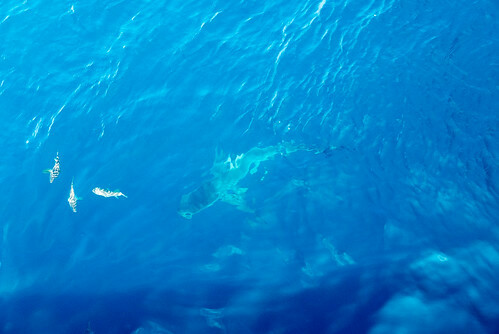 As they parted when I approached, I saw a shark on the ocean floor. Then another. Then another two. Then four more. I counted ten white-tipped reef sharks basking in total, and that was just in one place; as we swam further, we saw more and more. In total, we must have seen thirty sharks swimming about the reef - more than I've ever spotted underwater, let alone in one place. 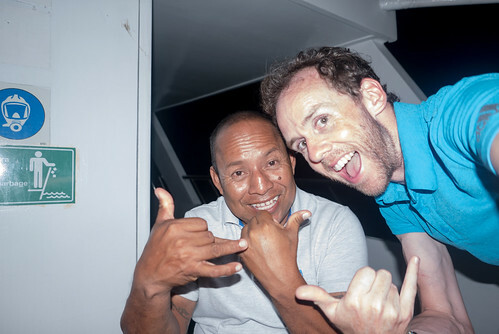 Gilly, who was hanging around at the back of the group, even saw a manta ray flapping by. We were buzzing by the time we got back for lunch, and after wolfing down burgers, shitaake mushrooms, rice, veg and fruit, we took a boat out to our second stop: Sullivan Bay. 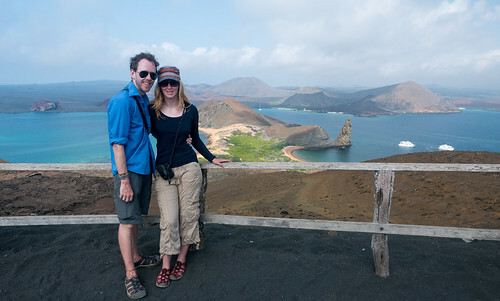 This was part of Santiago Island, which we'd visited a different side of a couple of days earlier on the previous tour. 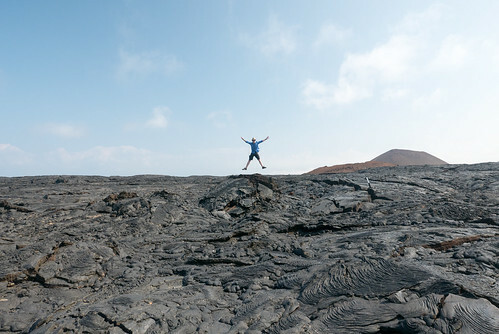 The bay was a "new" lava field, a cracked black sea of hardened basalt left behind from the last eruption of 1910. 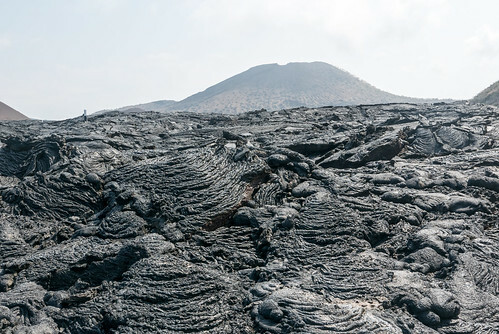 There are two types of lava rock, which are due to the different speeds in which the lava cooled. 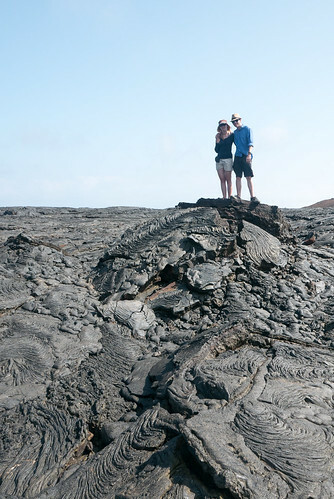 The most common is the smoother pahoehoe rock (pronounced 'paw-hoey-hoey") which hardened gradually over time. 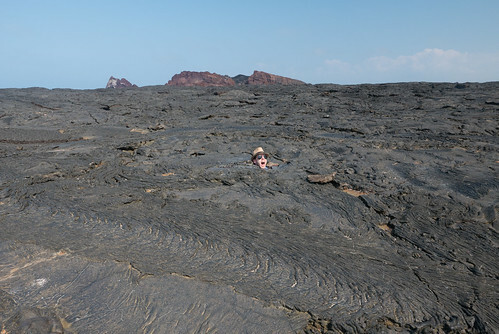 The rougher aa rock (pronounced "ah-ah") which makes up only 5% of the field cooled quickly, leaving behind a sharp surface which is painful to walk on without shoes. It also formed some interesting formations, including holes which we amused ourselves with. 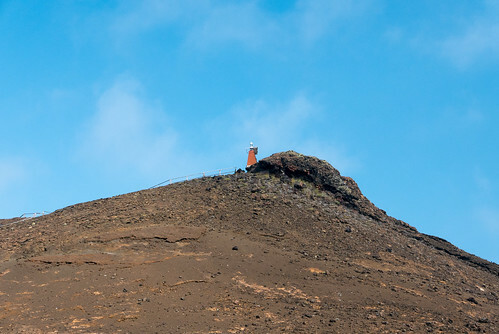 The island is the fourth largest in the Galapagos and is the last one that Darwin visited when he came here and developed his theory of evolution. 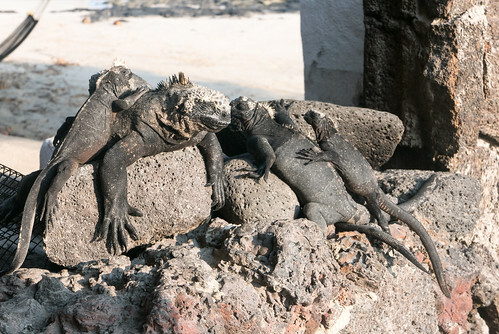 There used to be iguanas on the island, but they were wiped out by dogs which were introduced by humans, and the dogs were in turn eradicated once the preservation of endemic species was considered vital. 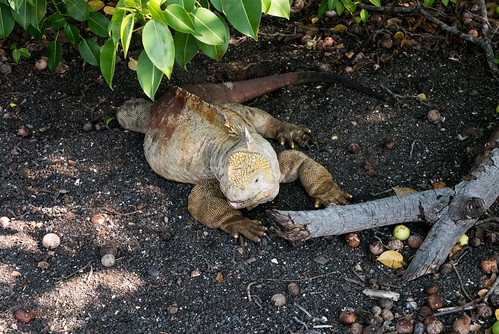 There is a breeding program which hopes to reintroduce iguanas back to the island, since they are an important pollinator. 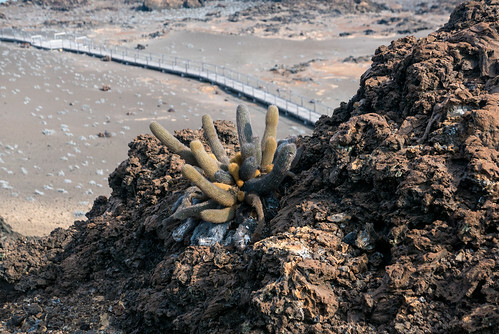 There are plants that live in the lava rock, spindly grass and bushes which have roots long enough to reach the sea, but other plant life is scarce. Johan gave us a bit of background about the tourism on the islands too. 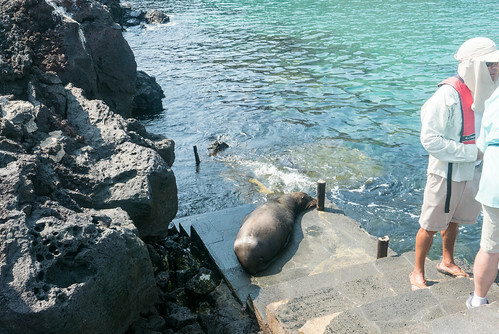 Galapagos survives on tourism, and not all of it is good. 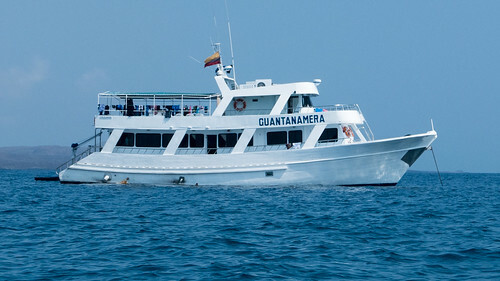 National Geographic, for example, have huge boats of capacity of over 100 people and charge passengers around $8,000 per passenger per week. 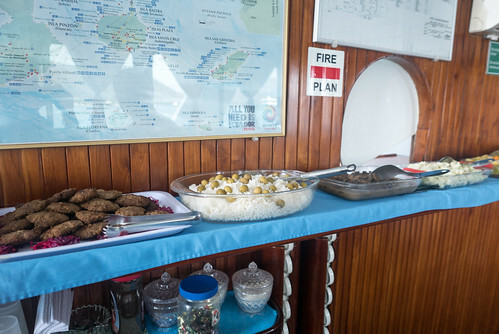 When other boat operators and guides complained that the sheer number of people was having a detrimental effect on the islands, NatGeo simply greased some government palms by paying for new buses, boarding up areas of Santa Cruz to help make them accessible, and so on. If a bus costs $80,000 then you can see why people would be sceptical about the actual reparations being made, given the amount of money the company are making. 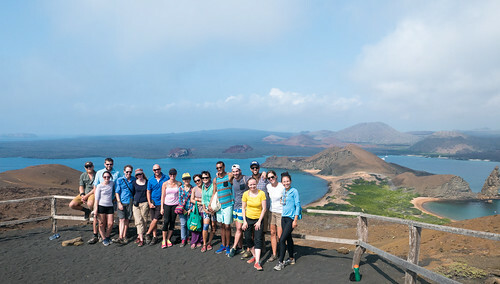 Similarly, the government were fighting to increase the $100 tax to $300, but locals fought the action stating that it would impact their business as people on "normal" budgets who would consider coming (including backpackers like us) would think twice, leaving the islands as an exclusive reserve for those who are happy to fork out thousands per week for luxury cruises. So far the resistance has been successful, but how long the local people will be able to stop the price increase is uncertain. Our second snorkel of the day was far more murky, but was still worthwhile for the last ten minutes, when we were joined by a huge sea turtle who was completely non-plussed by having fifteen divers following it along. Normally they're quite skittish and keen to get as far away as possible once they spot you, but this one couldn't care less. It made Paawo's day, as he'd wanted to swim with turtles for years. I guess we have been spoiled by all of our diving as we've seen plenty of sealife (including turtles), so the sheer awe of that first experience was long gone, but there's still something magical about watching one flapping its way through the ocean. We had another big boat ride ahead of us, so our day ended earlier than usual as we set off towards Isabela - our destination the next day. 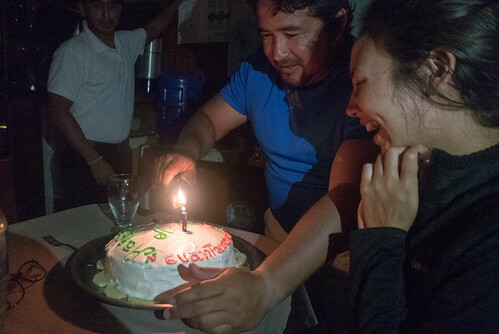 It was Anna's 22nd birthday, so the boat was in a celebratory mood. This manifested itself after a dinner of spaghetti and chicken, with the chef Eugenio baking her a delicious birthday cake. That he managed to make such fantastic food in such a tiny little kitchen was a constant source of admiration within the group, but a full-on iced sponge cake was a definite high point. 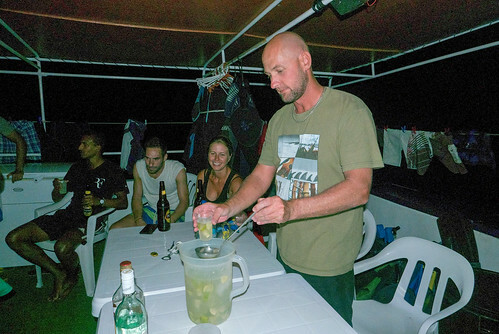 Unfortunately the water got pretty nasty soon after eating, so the majority of the group retired to bed at the super-early time of 8pm to try and settle stomachs and heads. There was no snorkelling the next day. 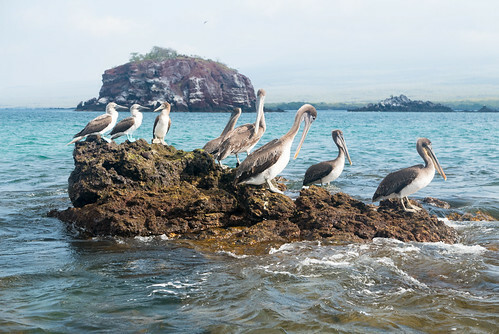 Instead, we had arrived at Isla Isabela which along with Santa Cruz and Cristobal is one of the three islands you can stay at in Galapagos. 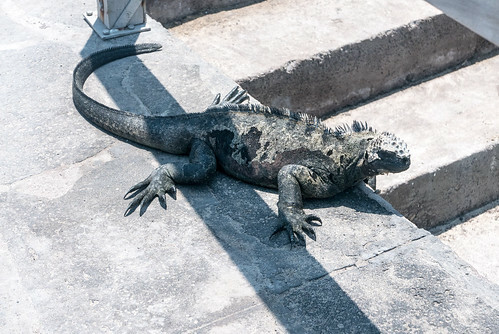 At 4588 square metres, it's also the biggest (the Galapagos is around 8000 square metres). 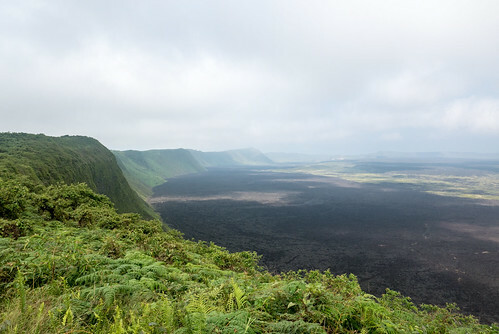 Isabela is almost 1 million years old and has six active volcanoes, the Sierra Negra caldera being our destination for the morning. It's the second biggest caldera in the world (after Ngorongoro in Tanzania), and after a gentle 25 minutes hike up to the top this becomes apparent. Even in the clouds, the sheer breadth of the crater is flabbergasting. 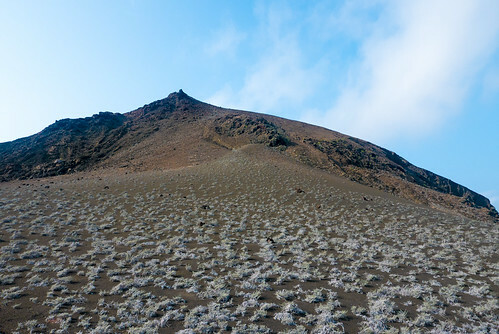 It last erupted in 2005, but it doesn't erupt in the devastating Pompeii-style manner you might expect. 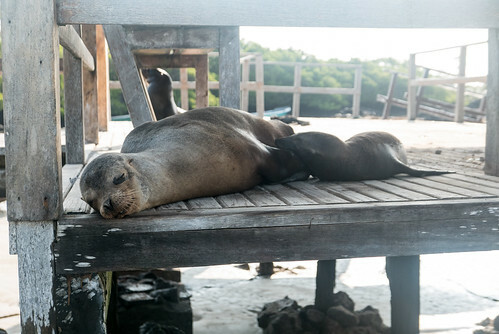 In fact, the Galapagos islands are more at risk from tsunamis caused by earthquakes. 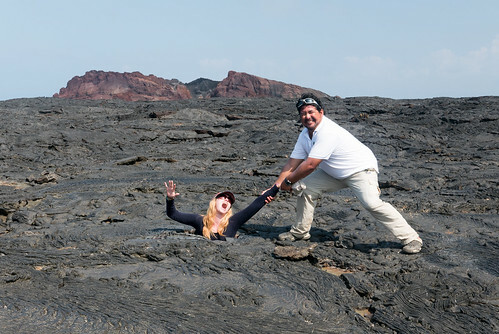 The Nazca plate - which the boobies are named after - has convergent boundaries which means that one part of the land mass is sliding under the other, but since it's underwater there are no earthquakes in the Galapagos, only the potential for tsunamis. 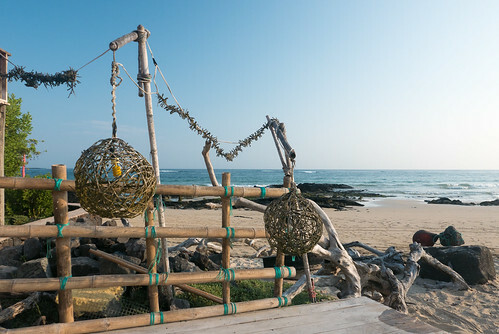 That said, other countries cause more issues for the islands; the Japanese tsunami caused severe destruction to Puerto Ayora, wiping out the Red Mangrove hotel and the dock, but fortunately no-one was killed. The less powerful Chile quake also caused some damage, but nowhere near as much. 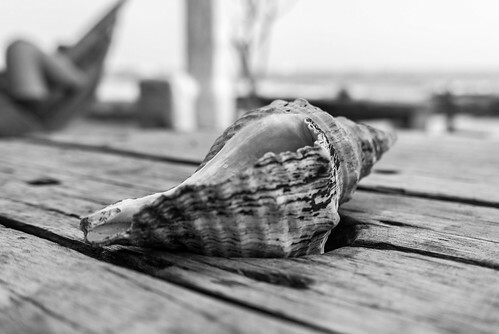 Combined with El Niño events, it's easy to see why the delicate ecology is constantly at risk. 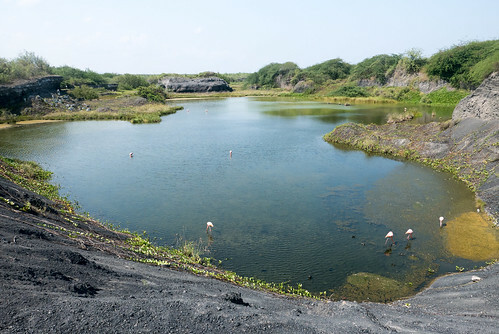 After descending the volcano, we saw a man-made flamingo reserve. The population was again significantly affected by introduced animals - in this case, feral pigs reduced the number from over 4,000 to 327 two years ago. After removing the pigs, the last census taken three months ago pegged the number at over 500 so it seems like the population is recovering. The land tortoise breeding centre on Isabela is also helping the native population by breeding and then releasing animals into the wild. 80-85% of the tortoises released in this manner have survived to date. It takes time though, since they can live up to 200 years and aren't even mature until they hit 25. 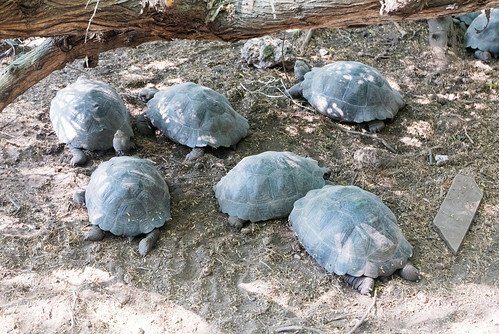 We saw tortoises at various stages of development, from eggs up to fully grown adults, and learned about the threats posed to them by goats, pigs, dogs and even ants. 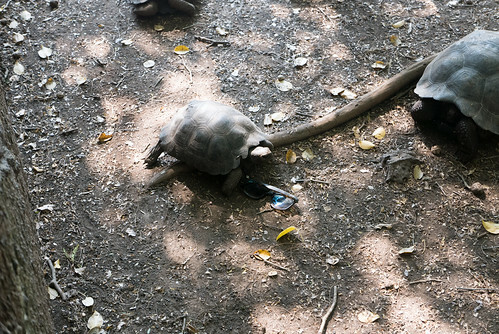 Lonesome George died in 2012, and was the last of his species. The centre had tried cross-breeding him with females from other species without success, so the extinction of his species remains a sad reminder of the effects of human interference on endemic animals. The afternoon was spent in the bar, because why not. 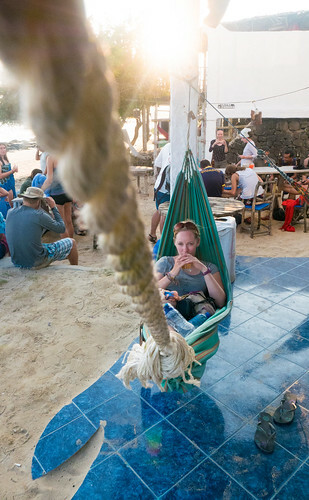 The town of Puerto Villamil is quiet compared to Puerto Ayora, but we found a beach bar with $5 beers, hammocks and crappy Wi-Fi, and relaxed until dinner. The evening held yet another long ride, but the following night was going to be far more serene since we would be travelling to the next spot in the afternoon rather than at night, and that meant we would be able to have a boat party. We'd already brought a bottle of Bacardi and Johnnie Walker with us, so the rest of the group hit the supermarket in preparation too. 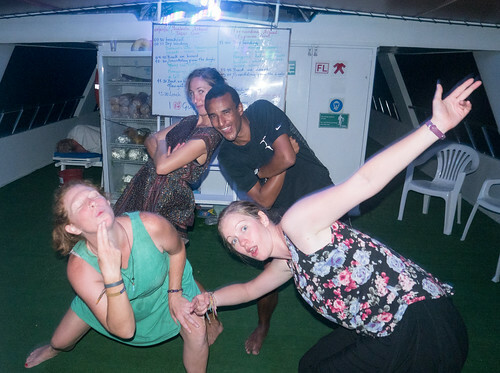 After dinner, we were introduced to the three new passengers who were replacing Brea, Lee and Anna - Mosh from Sydney, Emer from County Mayo and Samantha from California. After getting to know each other, everyone was getting a little drowsy - we'd all taken seasickness tablets (Anautin) which kick in after about an hour and a half and tend to knock you out, so after trying and failing to keep our balance in the chairs on the upper deck due to the crazy waves, we gave in and called it a night. The morning was the least interesting part of the trip to date, with another dinghy ride to a bay to look at some more animals. 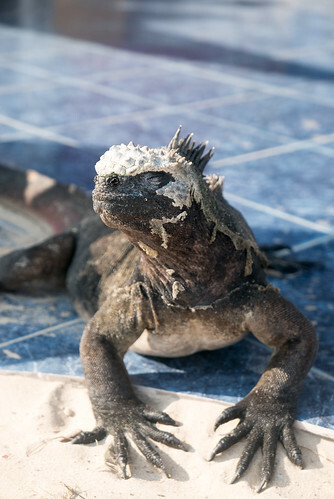 We saw more sea turtles, including the Pacific Green and the rarer Hawksbill, and a few marine iguanas clinging to some rocks. 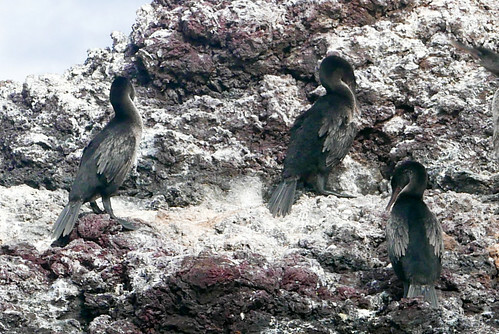 The brief highlight was seeing the flightless cormorant, which is endemic to the Galapagos. Out of the 28 species of cormorant, this one had evolved to no longer require flight and as such its wings are a lot shorter. It looks a little like a penguin from a distance. 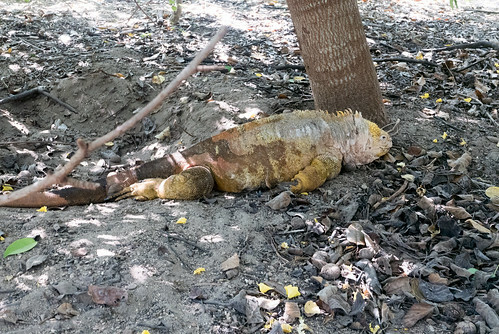 After lunch we travelled to Urbina Bay to hunt some land iguanas. These are larger and far more colourful than their water-based counterparts, as we'd seen when travelling with the Yolita. We found 11 or 12 of them hiding under bushes and digging burrows for sleeping. I don't blame them, as the sun was intense. We were very grateful to go snorkelling soon after, and even happier to find a group of three sea turtles hanging about the reef and munching grass off the rocks. The current was strong, so watching a turtle desperately try to keep his balance underwater whilst hanging almost upside down attached to a lump of grass was quite the sight. 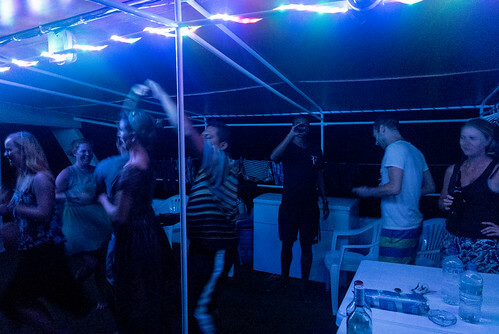 Little else of note happened until the evening after dinner, when the upper deck was turned into a dance floor complete with pole, and Renzo the barman knocked out a couple of jugs of very palatable caipirinha for us to share. 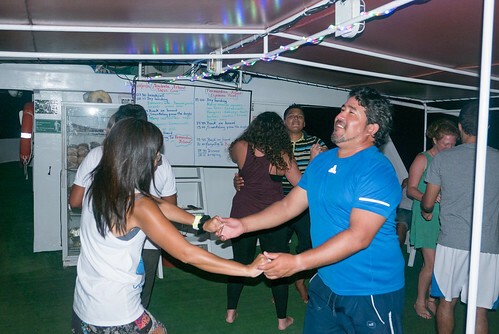 Then Johan hooked up his MP3 player to a crazy loud speaker, and before we knew it we were all dancing to merengue, salsa, and possibly even flamenco. Our lesson in Guayaquil from Felix came in useful, if only to show us how badly we were able to do it compared to everyone else. 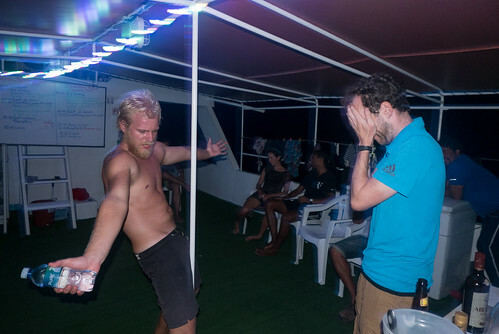 The boat staff were naturals, but then they no doubt get to practice every week. Once the hard liquor got cracked open, events became a little hazy. 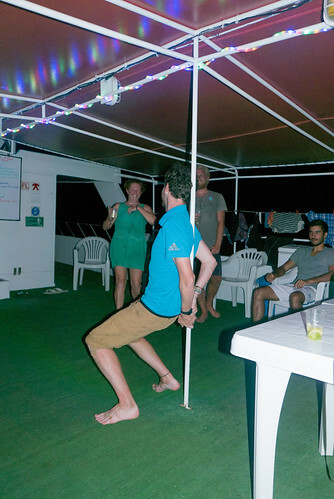 I remember doing a pole dance which apparently went down quite well, Jack fell asleep face down on the floor, and the music was loud enough to keep our previous haunt - the neighbouring Yolita, which was following us on our itinerary - up until at least 2am. All in all, it was a fantastic night.